We are so happy to introduce you to this fabulous hand-model, who accepted to answer a few questions for us. Gallinée: What was your path to become a hand model? How did you get discovered? Hannah: A friend of mine was working on the Great British Bake off cookbooks and they needed ‘a pair of hands’ for all the shots that demonstrate how to make the food. My friend asked if I would help out… I ended up doing 3 weeks of work with the photographer, and eating lots of delicious pastries! She was really nice and suggested I get a hand modelling agent. I applied to Hired Hands and have been hand modelling for them ever since! Gallinée: What is your daily hand care routine? Hannah: I find the best thing I can do for my hands is leave them alone. I keep a good hand cream in my bag which I use after washing my hands, and I wear gloves when it’s cold. That’s pretty much it. I don’t pick my fingers or bite my nails – my boyfriend is always biting his nails and I tell him off all the time! Gallinée: Is there anything you won’t touch or do because of your job? How do hand models do the dishes? Hannah: Unfortunately, I’ve not managed to get out of washing the dishes – I just wear gloves instead. I am more careful now but I don’t let my job stop me from doing normal things. 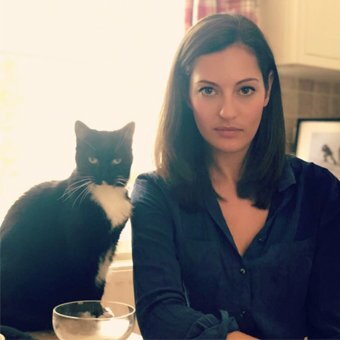 I also have a naughty cat so I have to be careful not to get scratched. She only has 3 teeth though so that’s a bonus! Haha. 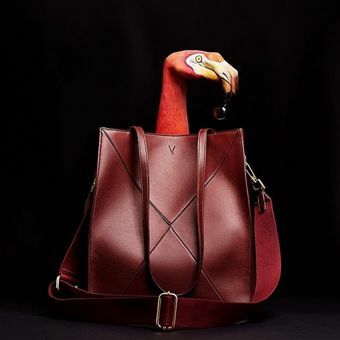 Gallinée: You are shooting for a lot of high-end campaigns, what was the funniest/weirdest thing you had to do? Have you been stand-in for any celebrity? Hannah: One of the more unusual shoots I’ve done, but also one of the most fun was for a vegan bag company called V by Townsley. They painted my hand to look like a flamingo and then they filmed my hand coming up out of the bag and acting like it was a flamingo! The video actually looks really cool. The photographer dared me to go to the pub after with my hand still painted. So I did and being London, nobody even noticed! 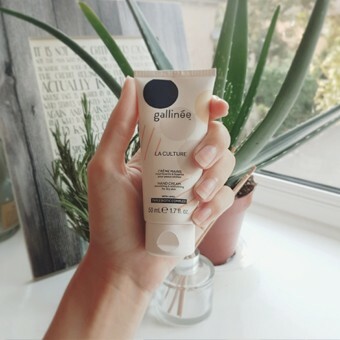 Gallinée: What do you look for in a good hand cream? Hannah: Obviously, one that hydrates and leaves your hands feeling super soft, but also one that isn’t too sticky or takes ages to sink in. I like to put it on and then carry on with whatever I’m doing.